François Bastian was born in 1987 in Forbach, France. He began his musical training in 1992 with percussion lessons at the Music School in Forbach. Two years later he also started horn lessons at the Music School. In 2003 he became a junior student of Prof. Peter Arnold at the Academy of Music in Mannheim and one year later at the Academy of Music and Performing Arts in Frankfurt with Sibylle Mahni Haas. After graduating from secondary school in France in 2005, he began his studies at the “Hanns Eisler” Academy of Music in Berlin in the class of Prof. Marie-Luise Neunecker. In 2003 he won a second prize at the International Horn Competition in Glottertal, and in 2004 a Federal Prize at the “Jugend musiziert” competition. He was a member of the Schleswig-Holstein Festival Orchestra and also played with the Young German Philharmonic. Besides this, he has played in several orchestras and chamber music ensembles, such as the Symphony Orchestra of the Saarland Radio, the Orchestra of the Bavarian State Opera and the Capella Andrea Barca under the direction of András Schiff. He is also a member of the World Brass ensemble. 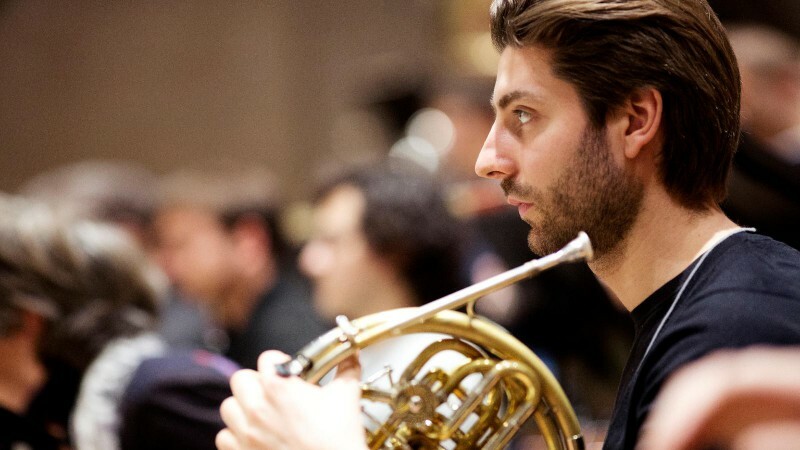 From November 2007 to March 2009, François Bastian was a scholarship student of the Orchestra Academy of the Symphonieorchester des Bayerischen Rundfunks, Since April 1, 2009 he serves as a 2nd hornist in this orchestra.